PHOENIX, AZ — Vita Flex, leading producer of advanced equine performance products, recognized 20-year-old Jackie Ganter’s dedication and continued success in the discipline of barrel racing by welcoming her into the Vita Flex® Victory Team Rider family. In the competitive sport of barrel racing, fractions of a second can make the difference between a good ride and a great ride. Vita Flex is thrilled to help top riders like Ganter cross that fine line from good to great by providing a variety of high-quality equine products, including antioxidants, electrolytes, vitamins, minerals and topical solutions to help keep horses in peak health. For new Vita Flex® Victory Team Rider Jackie Ganter, barrel racing is a family affair. Ganter started off riding English, but after taking her pony as far as she could, she swapped her jodhpurs for a pair of chaps to follow in her mother’s footsteps as a barrel racer. “My mom had me on a horse the day I came home from the hospital, and whenever I could start riding myself I did,” said Ganter. 20-year-old Ganter turned pro the day she turned 18, and that same year she was named Women’s Professional Rodeo Association Rookie of the Year and qualified for the Wrangler National Finals Rodeo. She won rodeos all over the United States and Canada and qualified for the NFR again in 2016. Today, she competes on a fleet of different horses, including Cartels Fame, Guys French Jet, Recent Release and Blazin Baby J, among others, and all of whom she barrel races at rodeos throughout the year. As a newcomer to the Vita Flex® family, Ganter joins an elite team of premier equestrians like dressage’s Adrienne Lyle, Lisa Wilcox and Caroline Roffman; hunter jumper riders Todd Minikus and Patty Stovel; and cutting and reining horse trainer Al Dunning, who all rely on Vita Flex’s top-quality line of equine performance supplements to keep their equine athletes in peak condition. 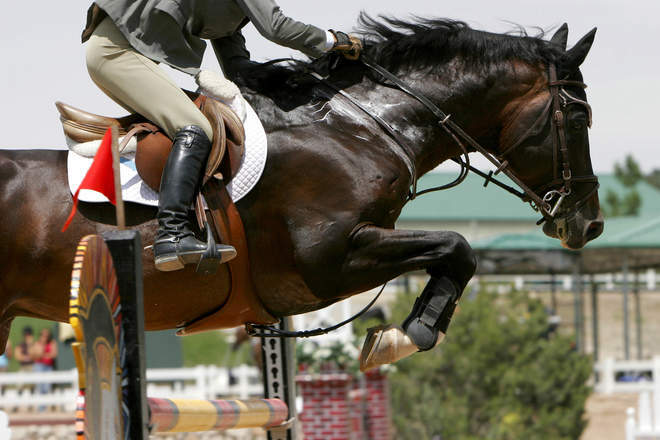 Trusted by top owners, trainers and riders for over 20 years, Vita Flex’s premier line of equine health and performance supplements are backed by research from nutritionists and veterinarians. The entire line of Vita Flex® products includes a wide range of antioxidants, joint supplements, electrolytes, topical ointments, vitamins and minerals to help keep equine athletes in top condition. For more information about Vita Flex and its line of superior equine products that power Ganter’s barrel horses, visit vitaflex.com.